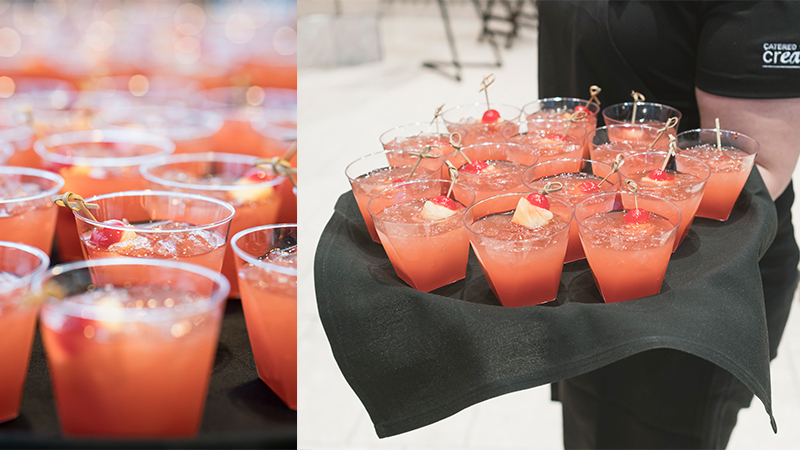 This month we catered the AON client appreciation party at the stately Gerald R. Ford Museum. 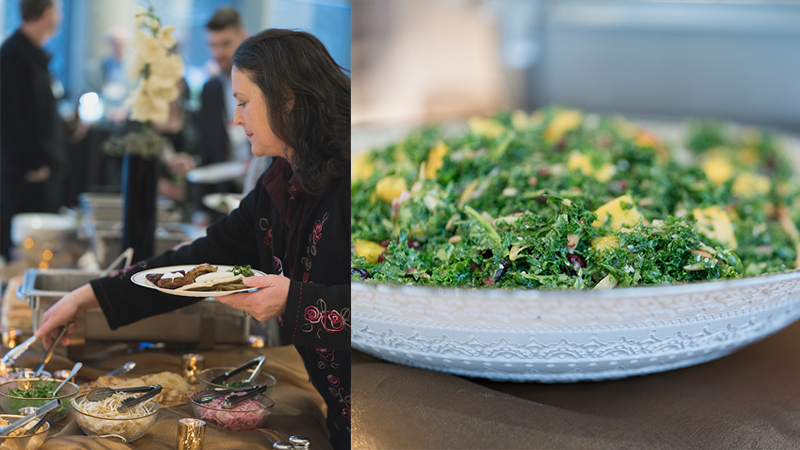 The menu was a mix of southeast Asian and Mediterranean fare. 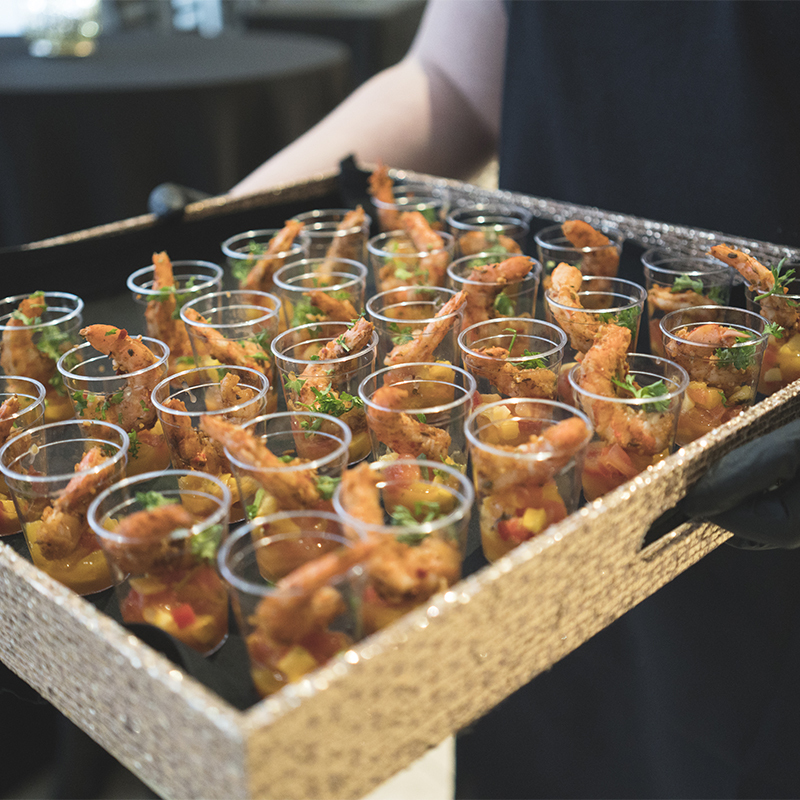 Servers passed spring rolls and crispy shrimp shooters while guests sipped the evening’s drink-of-choice, a Singapore Sling. This gin-based cocktail is a heady concoction of citrus and cherry—flavors that complemented the eastern-inspired dinner. The buffet boasted a mango kale salad, mini falafel, and steamed buns (they’re like tiny, soft pillows, seriously) filled with sticky pork belly, kimchi, pineapple and cabbage. 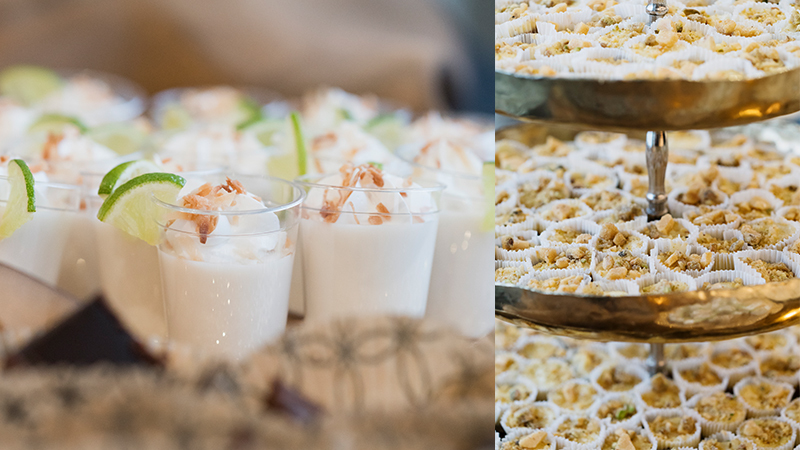 The meal finished with pistachio cheesecake bites and coconut lime panna cotta shooters. 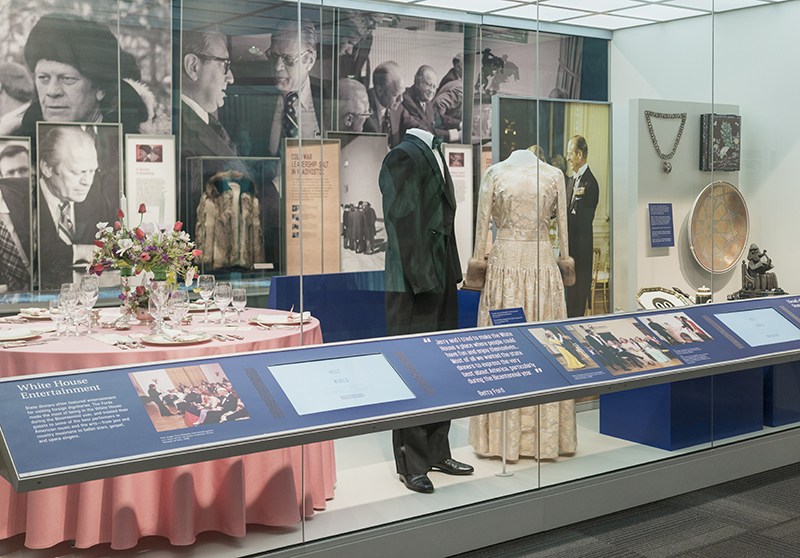 While at the Ford Museum, we especially enjoyed looking at the table setting in the White House Entertaining display. With some research, we discovered that first lady, Betty Ford, was a skilled and considerate hostess and event planner. 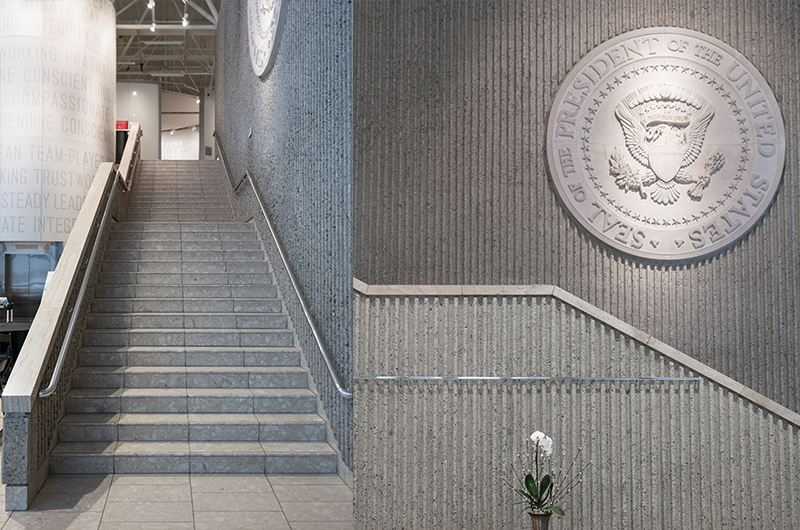 Wondering how you could land the job as social secretary to the White House? Maria had to go through a NINE HOUR interview with the first lady. That is dedication! The Fords only served American wines at their dinners. U-S-A! U-S-A! Mrs. Ford would choose a theme for each White House dinner. The theme would be about a certain aspect of American culture, and instead of floral arrangements as the table centerpieces, she would display fitting pieces of art. 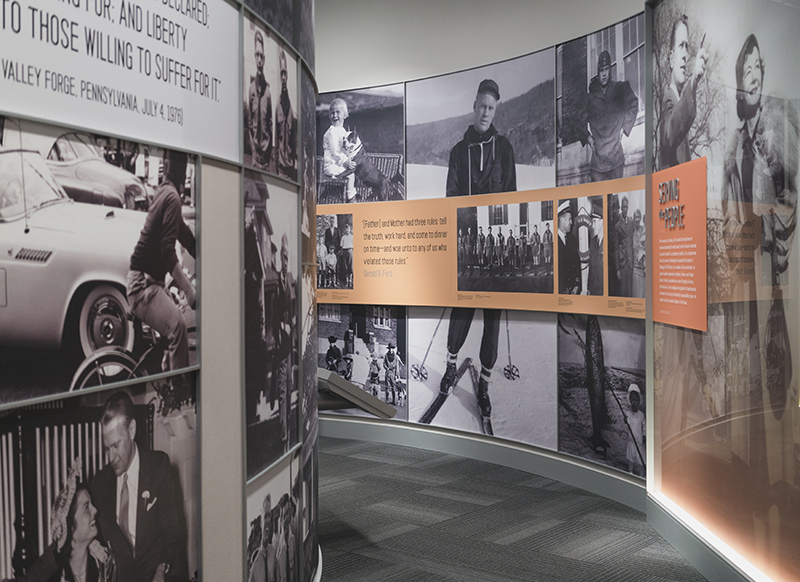 Not only did these show the best of America, they also served as good conversation starters. Mrs. Ford, being an advocate of women’s rights, included many women in the guest list, women of merit. This seating arrangement gave us the opportunity to seat these women in more prestigious positions and still be correct by protocol. 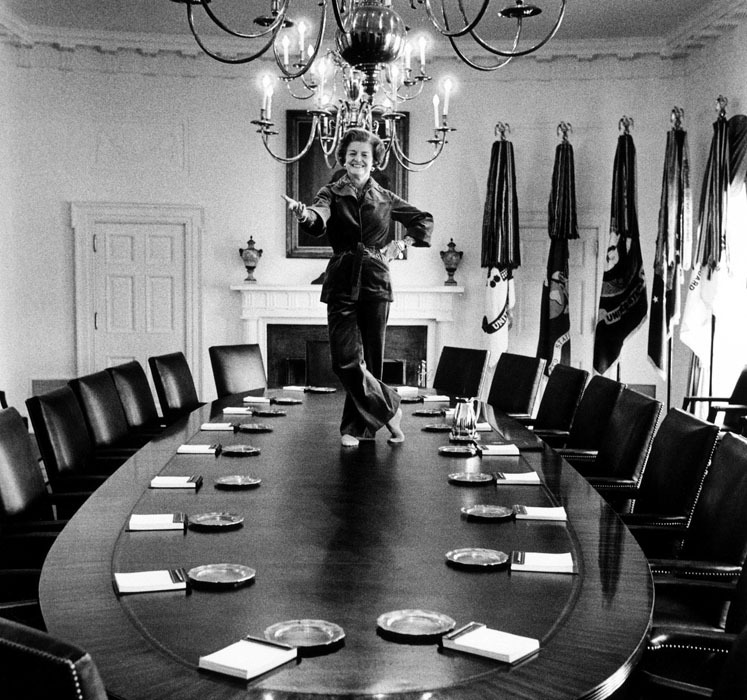 Turns out, Betty Ford was a prime party planner. Alright, history lesson over. 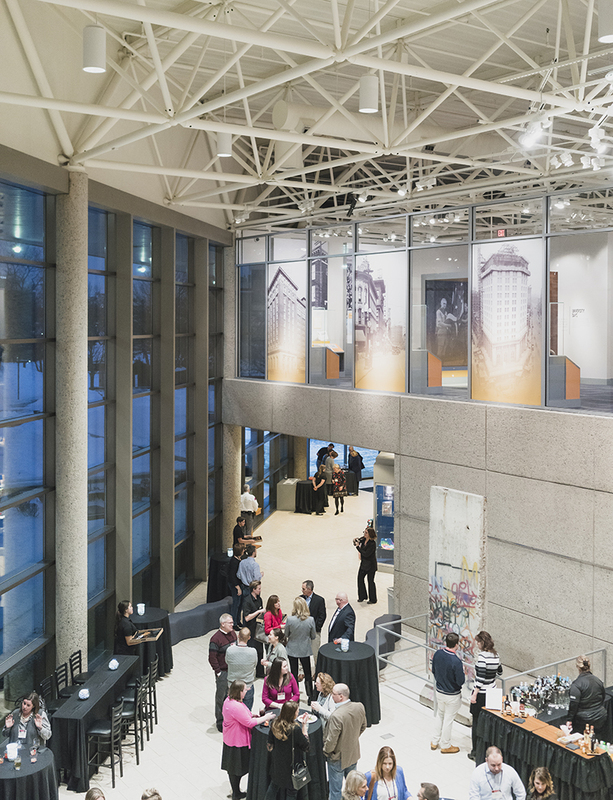 We recommend the Ford Museum as a flexible event space giving guests a chance to wander through the exhibits during cocktail hour, socialize on the main floor (with a piece of the Berlin wall as their backdrop to boot), or simply enjoy a view of the Grand River. The venue lends itself to elegant wedding receptions (can you imagine entering down that staircase?) or a corporate soirée. 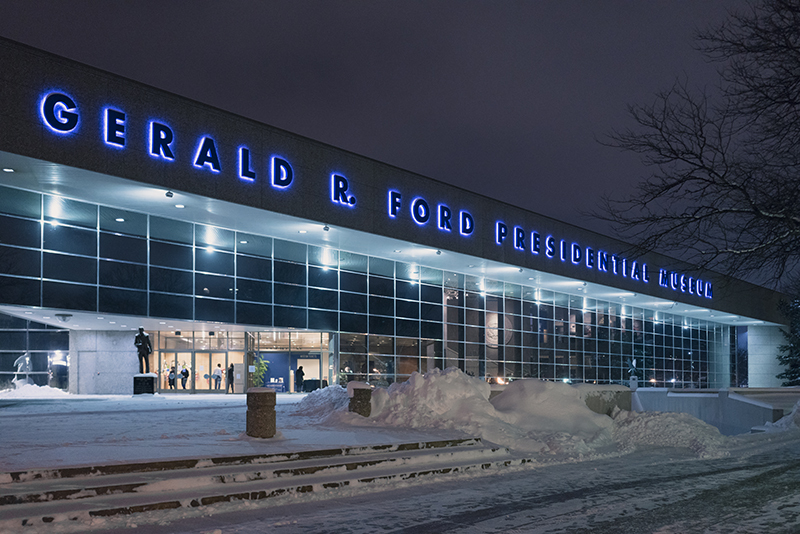 Whatever your event, we’re confident the Ford Museum sets the stage for an historic night.